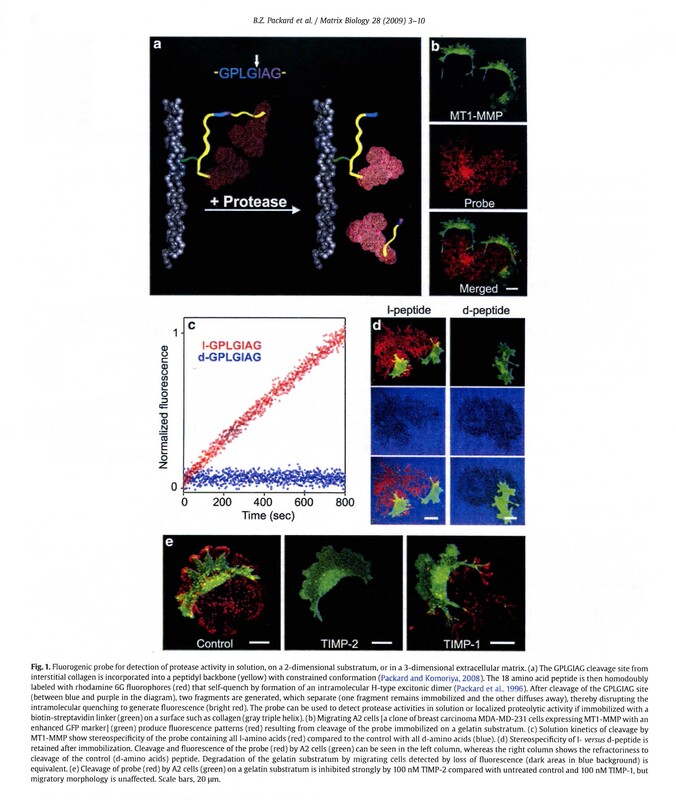 Metastasis detection is now possible using OncoImmunin's unique fluorogenic substrates to assay the protease activities associated with metastasis of malignant cells. Examples of current reagents for metastasis analysis are CaDiLux® for the detection of cathepsin D, ElastoLux® for the detection of elastase, and MetastaLuxTM for detection of collagenolytic activity. As with OncoImmunins caspase substrates, CaDiLux® and ElastoLux® cross intact plasma membranes and are therefore able to detect intracellular proteolytic activites in live cells. In contrast, MetastaLuxTM, which contains a sequence found in collagen, is immobilized and can detect cells utilizing collagenolytic activity as they move through a 3-dimensional matrix. Copyright © 1998-2019 OncoImmunin, Inc. All rights reserved.